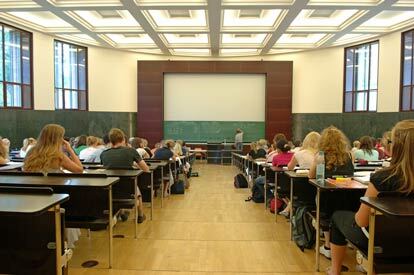 Standing up in front of a large lecture hall can be a challenging way to teach. How can you connect with your students, especially those way up in the back rows? What are some methods to engage the class and expand your teaching style? 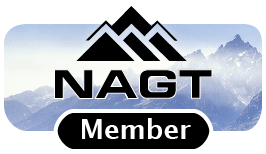 Below you will find ideas, tips, specific strategies and example activities developed by fellow geoscience faculty. Mark Leckie has many years of experience teaching large introductory geology and oceanography classes at the University of Massachusetts - Amherst. Here he shares his ideas about how to keep large classes engaging, relevant, and accessible to a student population with a diverse range of interests and experiences. 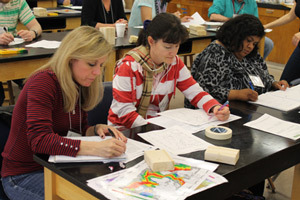 Browse our collection of introductory-level geoscience courses taught to 150 students or more. Large classes pose a challenge for instructors who need to assess a large number of students in an efficient way. This page offers information about several strategies including ConcepTests, exams, minute papers, developing scoring rubrics and the use of technology to improve assessment. Making lectures interactive involves giving students, all of them, something to do during the lecture - answering a question, interpreting a graph, or solving a problem - and continuing such activities regularly throughout the term. This module contains detailed information on how to create and deliver interactive lectures, and provides 26 different examples you can use in your lectures. Lecture Tutorials are short worksheets that students complete in class to make lecture more interactive. They are designed specifically to address misconceptions and other topics with which students have difficulties. They pose questions of increasing conceptual difficulty to the students, cause conflict with alternative conceptions, and help students construct correct scientific ideas. See examples of lecture tutorials you can use in your lectures. ConcepTests are conceptual multiple-choice questions that focus on one key concept of an instructor's learning goals for a lesson. When coupled with student interaction through peer instruction, ConcepTests represent a rapid method of formative assessment of student understanding. See hundreds of example ConcepTest questions. Interactive demonstrations can also be used in classes of all sizes, as projection systems can make demonstrations visible to students in the backs of large classrooms. In this module you can learn about how to illustrate concepts and perhaps even entertain your class with simple demonstrations. There are 16 example demonstrations included. Using "clickers" is a way to engage students in large lecture classes as well as to gain an instant sense of students' comprehension of selected topics. This module provides pedagogic guidance to using clickers, plus a host of example questions. Learning Assistants are talented undergraduate students chosen for their broad interest in teaching and prepared to provide support for student learning in interactive classroom environments. Learning Assistants can be especially helpful in large classes, and this module provides different examples for their use. This page, in our website for Early Career Faculty Members, focuses on strategies for keeping students engaged, using technology to your advantage, and getting groups to work well. Whether consciously or not, you set the tone for the entire term on the first day. 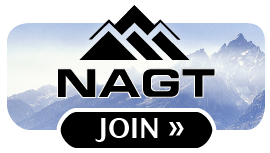 This is your opportunity to stimulate excitement about the course, give students a sense of classroom dynamics, and establish course expectations. This web resource contains ideas for engaging your students, motivating them with relevant topics, establishing a positive classroom environment, and surveying your students to find out what makes them tick.